BANGBANGZINE is a zine that I curate. As for now it showcases my own projects that I am working on. 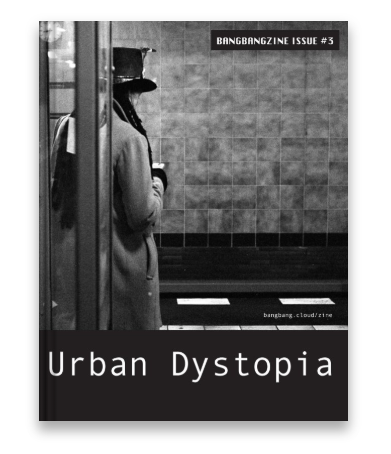 The third edition (issue 3) dubbed Urban Dystopia (see projectpage) is out now and can be ordered through the webshop. The edition is limited so act now! BANGBANGZINE issue 3 is seeing the light! The Leica M10-D is a limited camera, in every possible sense. It’s limited because it is a camera with a steep price, but it’s also limited in features. You could call that a paradox, but not in the world of Leica. It’s a digital camera stripped to its bare-bones, even without a LCD, and is therefore positioned as a digital camera with an analog soul. From my series ‘Moroccan Trail’ this picture was awarded by the Leica Fotografie International curators as Leica Master Shot. I had the pleasure of doing a street photography workshop with Martin U Waltz, one of the better know street photographers in Germany and a fellow-resident of my homecity Berlin. Sometimes a project just presents itself. Unlike prior projects, where I was actively pursuing a certain type of imagery with a theme in mind, this project evolved organically.